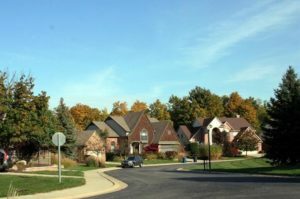 Dhu Varren on the Park is an Ann Arbor neighborhood with traditional and contemporary style homes, many of which, back to a ravine, woods or Leslie Park; Olsen and Leslie Park are within walking distance of the subdivision and have a variety of courts and walking trails. There is currently 1 home listed for sale and so far this year, 1 has sold. $425,000. 2872 Leslie Park Cir., Ann Arbor. 2659 square feet with 4 bedrooms and 2.1 baths. $460,000. 2818 Leslie Park Cir., Ann Arbor. 3014 sq. ft., + 1100 in finished lower level, 4 bedrooms and 2.2 baths. Last year at Dhu Varren on the Park, 5 homes sold with an average sale price of $413,900 and an average price per square foot of $169.00. The 1 home sold this year has a sale price of $460,000, up 11%, and a price per square foot of $153.00, down 9%. To learn more about home values at Dhu Varren on the Park, contact the real estate specialists with The Bouma Group at (734)761-3060 or email info@bouma.com. View more Ann Arbor neighborhoods here! Located on the north east side of Ann Arbor, Dhu Varren on the Park is an upscale neighborhood near recreation and the University of Michigan’s north campus. There are currently 4 homes listed for sale, and so far this year 3 have sold. $525,000. 2818 Leslie Park Circle, Ann Arbor. 3014 sq. 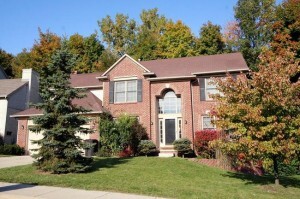 ft., +1100 in finished lower level, 4 bedrooms and 2.2 baths. $419,950. 2974 Leslie Park Circle, Ann Arbor. 2508 square feet with 4 bedrooms and 2.1 baths. $385,000. 2963 Leslie Park Circle, Ann Arbor. 2135 square feet with 3 bedrooms and 2.1 baths. $415,000. 2956 Leslie Park Circle, Ann Arbor. 2896 square feet with 4 bedrooms and 2.1 baths. $415,000. 1829 Michelle Ct., Ann Arbor. 2445 sq. 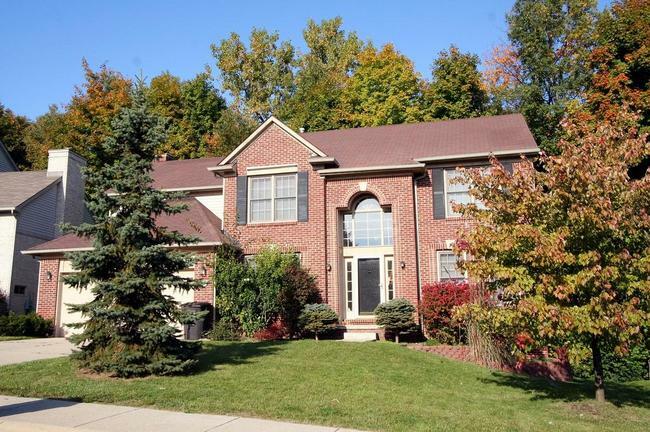 ft., +1068 in finished lower level, 4 bedrooms and 2.2 baths. $410,000. 2826 Leslie Park Circle, Ann Arbor. 2188 sq. ft., +1200 in finished lower level, 4 bedrooms and 2.1 baths. Last year at Dhu Varren on the Park, 2 homes sold with an average sale price of $417,450 and average price per square foot of $167.00. The 3 homes that have sold this year have an ASP of $413,333, down slightly, and an A$SF of $167.00, exactly the same. Once the homes listed have sold and closed, both of those statistics should increase. To keep up with what is going on at Dhu Varren on the Park and all Ann Arbor Neighborhoods, be sure to bookmark our blog as we are constantly updating home values and information. To find out more about home values in Washtenaw County, contact us at The Bouma Group, Realtors at 734-761-3060 or email info@bouma.com today! 2896 square feet with 4 bedrooms, a study, and 2.1 baths. Beautifully remodeled kitchen features granite counters, re-faced cabinets, stainless appliances, and a tile backsplash. Refinished hardwood floors and a remodeled bathroom. 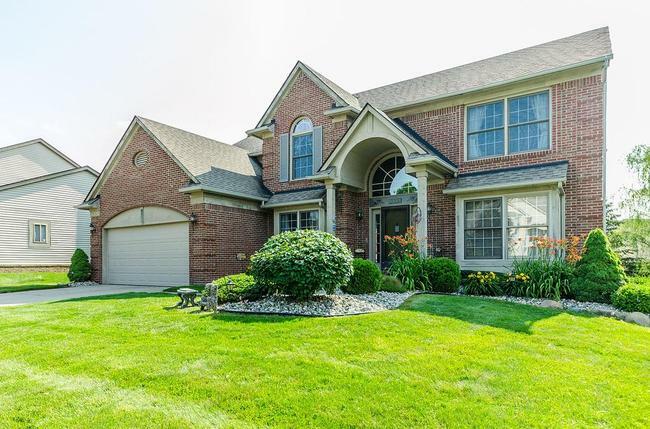 For a private showing of 2956 Leslie Park Circle, or to learn more about this Ann Arbor home, contact the real estate specialists with The Bouma Group today at 734-761-3060 or email info@bouma.com.